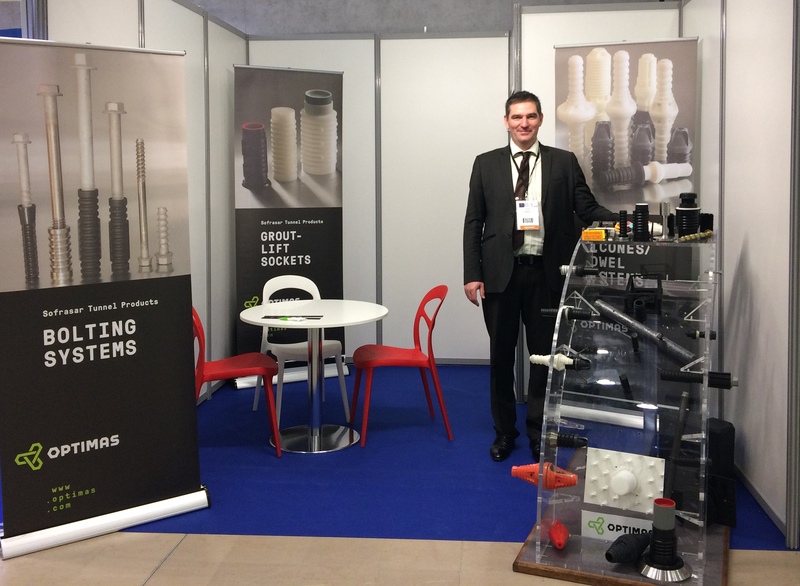 Optimas Sofrasar Tunnel Division, a leading supplier of fastener solutions for pre-cast concrete tunnels, has enjoyed a positive experience at the 15th Association Française des Tunnels et de l’Espace Souterrain (AFTES) International Conference. Held every three years, the event gathers major players in the tunnelling and underground sectors to discuss upcoming projects and innovations shaping the industry. Optimas’ Sofrasar Tunnel Division specialises in providing a range of bespoke or standardised bolting systems, dowel systems, centring systems and shear dowels, grout-lift sockets, guiding rods and packers plus precast accessories and security systems to the industry. Utilising a strong supply structure with in-house design and development capabilities, Optimas Sofrasar Tunnel Products provides innovative solutions to reach contractor technical and budget requirements. For example, the business recently supplied a multitude of new pre-cast concrete fastening solutions for the ongoing Doha IDRIS project, a multi-billion-dollar scheme to improve Doha’s drainage for the 2022 World Cup. The exhibition was held in Paris this year due to the market buzz around the Grand Paris project, which aims to make Paris better equipped to accommodate future economic and population growth. A key component of this is overhauling Paris’ transport network - specifically its metro line. With real-estate in Paris at a premium, tunnels are brought to the fore, with Optimas Sofrasar Tunnel Products confirming that they will be providing pre-cast tunnel fastening solutions to support this domestic transport infrastructure initiative. Optimas Solutions - Tunnel Division, the manufacturer of the Sofrasar Tunnel Products, can provide a complete range of bespoke or standardised bolting systems, dowel systems, centring systems & shear dowels, grout-lift sockets, guiding rods & packers plus precast accessories & security systems. All components are designed and developed in-house by Optimas Sofrasar, which backed by a strong supply structure, means even bespoke parts can be delivered at a competitive cost point.